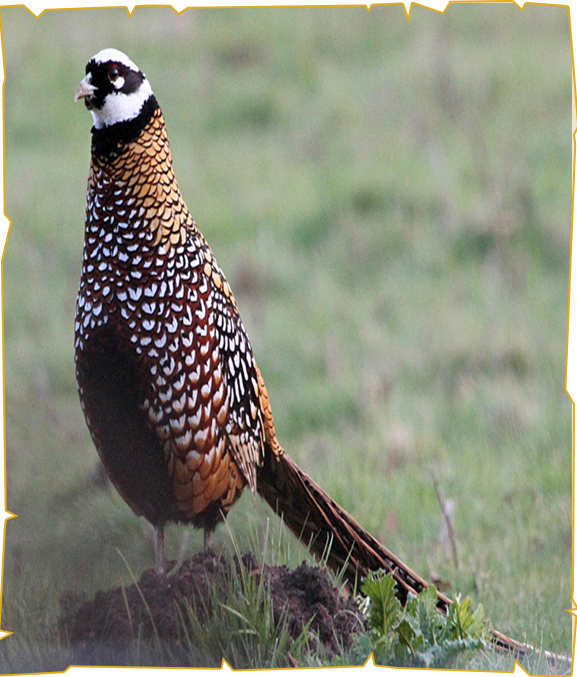 The Reeves`s pheasant is a large pheasant within the genus Syrmaticus. It is endemic to China. It is named for the British naturalist John Reeves, who first introduced live specimens to Europe in 1831. The Reeves`s pheasant is endemic to evergreen forests of central and eastern China. The tail of the male bird grows approximately 30 cm (12 in) every year. Due to ongoing habitat loss, and overhunting for food and its tail plumes, the Reeves`s pheasant is evaluated as Vulnerable on the IUCN Red List of Threatened Species. There are thought to be only around 2000 birds remaining in the wild.